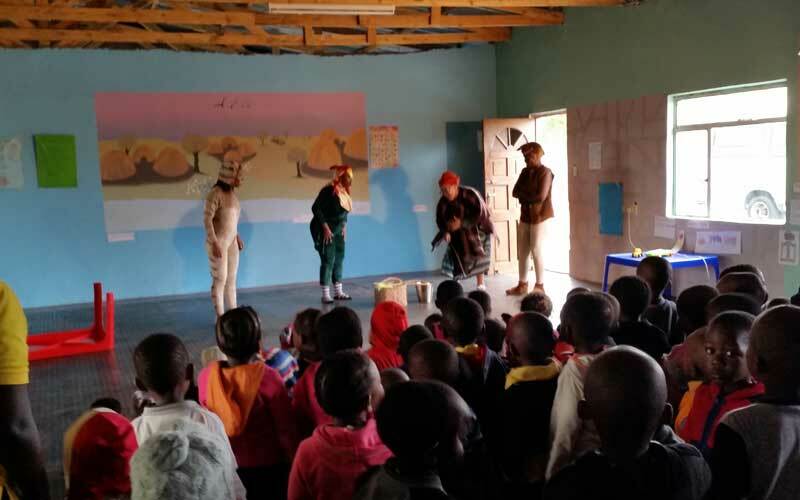 The ECD Values Education Programme is designed to promote a core set of values, underpinned by the African philosophy of humanism – Ubuntu. The current levels of intolerance, hatred, violence and unethical conduct in our society are symptoms of a malaise in our communities and a breakdown of basic values. GDT VEP is designed to make an intervention to correct this trend. From a pilot programme in 4 sites increasing the number of sires to 10 in the following year, we branched out into train the trainer model in Phase 3. 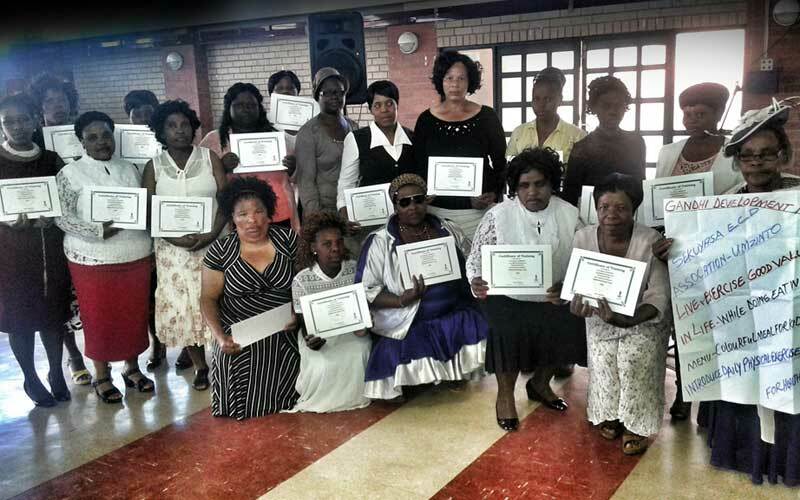 In this phase we trained community trainers drawn from 5 ECD Forums in Folweni, Kwa Makhutha, Umlazi, Hammarsdale and Umzinto, all located in KwaZulu Natal. Each of the trainers in turn trained about 20 practitioners from 20 different sites in their region reaching over 3840 children. Over the three years our training module was also dev-eloped using a holistic approach. The programme now integrates three critical areas and involves the relevant Durban University of Technology (DUT) departments. The aim of the parallel programmes, supported by relevant DUT departments, was to contribute to the holistic development of the child. 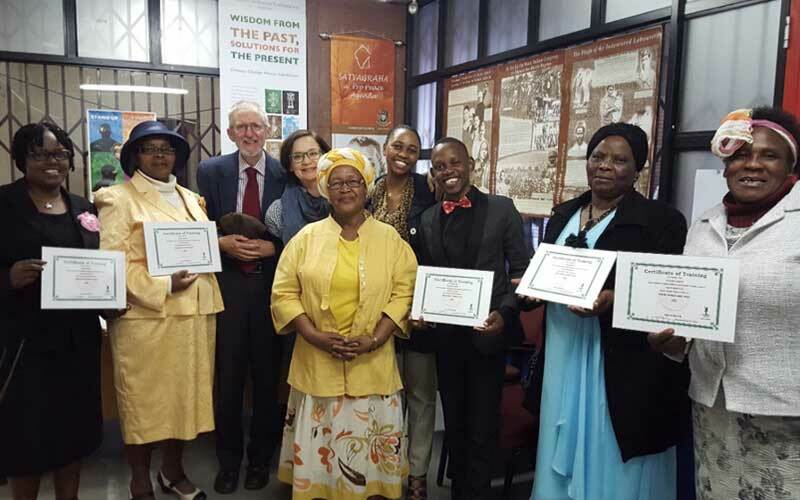 The three critical requirements of wholesome food, effective and targeted physical development and promoting and developing creativity were immediately accepted by the relevant DUT departments and their outreach programme implementation teams. This partnership has contributed significantly to the development of a holistic approach to child development. Food & Nutrition: Developing a healthy and balanced food plan to ensure the development and growth of the children at this critical stage of their development. Sport: Developing an effective physical education programme to ensure the development of the young bodies. • Trained and certified 5 community trainers. • Trained and certified 98 practitioners. • Engaged with 96 sites. • Provided trainee support and monitoring. 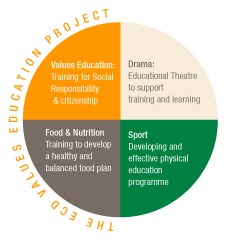 • Evaluated values programme in participating sites. • Developed a pilot parent support programme. • Included animal care in the training content.